During an agile transition program, do not let your managers by the roadside! 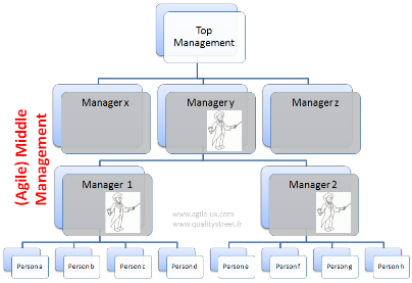 Rather help them to become Agile managers and to control the evolution of their profession. « Top-Down » or « Bottom-Up », there is no debate anymore. We know today that a top management support and the ownership by the teams are both essential to ensure the success of the transition to agility. No, the issues of the Agile Enterprise are now in intermediate managerial layers of the organization. How to approach them? How to convince them? How to transform them? My experience with Agile projects and agile coaching in various sectors (banking, industry, software vendor …) showed me that this is the middle management that holds the keys to agility on the Long Term. Indeed, middle managers can be the most active supporters or the worst impediment and therefore the most dangerous opponent of the agile transformation. The « Command & Control » management style based on Taylorism and scientific management (OST) has shown its limits… the agile manager explores new dimensions (mostly related to facilitation & leadership) to ensure the success of all. The role within an agile organization becomes a clever trade-off between maintaining / abandoning some responsibilities and acquiring new skills. 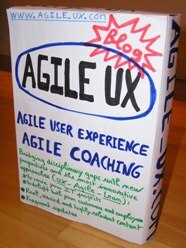 And my role as an Agile Coach? Engage conversations with managers and support them in their journey toward becoming an AGILE MANAGER ! 1. Traditional organizational patterns adopt top/down or pyramidal ones, while agile organizational patterns are more systemic/circular/ ones. Passing from the 1st pattern to the 2nd one can be challenging: what are your best practices to do that? I agree with your statement of the situation. Indeed, managers need to adapt in order to succeed in an Agile environment. I wrote something along the same lines recently. @Messaoud: Change management is the key. All actors must be identified. You need to involve all the organizations levels and find the appropriate answver for each in terms of comminication, training and participation. The article of Steven Ropa is interesting. My own artcle is focused on what he calls « functional management ». @Martin: Your set of articles on the topic is inspiring.